Modern industrial demolition contractors would be lost without electromagnets. These incredible tools are powerful enough to pick up metal scraps even when they’re scattered among the concrete and other debris of an enormous scrap metal deconstruction project. Electromagnets can seem quite magical to those who are unfamiliar with their scientific properties. In a previous post, we touched on how electrified, coiled wire wrapped around an iron core creates a strong magnetic field. In this way, an electromagnet can be turned off and on by opening or closing the electric circuit. To get into a bit more scientific detail, the true force of an electromagnet stems from what happens inside the iron core when electricity is sent through the wire. Within the iron core are tiny magnetic regions; each one has a negative and a positive end, just like a larger magnet. When no electricity is sent through the wire, the magnetic regions all point in different directions, negating any magnetic effect. However, once the wire carries current, all of these miniature magnets line up, with their negative and positive ends all pointing the same way. This turns the iron core into a magnet that is so strong it can turn the internal magnetic fields of nearby metal. On a microscopic level, this is how an electromagnet used by a steel processing company works. Among industrial demolition contractors, electromagnets may be called “lifting magnets” or “scrap magnets.” On a basic level, scrap magnets are a specialized form of lifting magnet, as outlined below. Can be as small as a credit card or larger than a bed in size. Are helpful in preventing injuries at scrap metal deconstruction sites. Lifting magnets can pick up small scrap, such as nails and screws, quickly and safely. Are typically configured with the electromagnet on the end of a dangling chain hung from a crane. This allows for operation in precarious, dangerous or hard-to-reach areas. Are large lifting magnets designed to lift very heavy objects (such as cars) without the coil unwinding. An unwound coil is dangerous because the magnetic field could dissipate, potentially dropping a heavy object onto workers below. May also have watertight construction for underwater use, or use in changing weather conditions. Some scrap magnets are even designed for gathering metal remnants from underwater shipwrecks and submerged, defunct oil derricks. Are in some cases specially designed for use in constricted areas. Boast an extra deep magnetic field, providing plenty of magnetic power for fetching scrap materials. Are in some cases capable of detecting radiation within scrap materials. As a leading West Coast steel processing company, Elder Demolition recycles thousands of tons of steel annually from demolition projects. 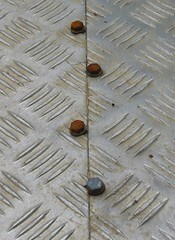 To complete this work safely and effectively, we use scrap magnets with a 48-inch magnetic field. One has a copper coil (which may be used in hot applications, but is more expensive), while the other has an aluminum coil (almost as strong as copper, but more affordable). We rely on these scrap magnets for sorting and loading scrap metal – it would be far more expensive and labor intensive to clean up our project yards without these powerful tools. Finally, these scrap metal electromagnets allow us to obtain and recycle steel that would otherwise be headed for the landfill. From business, environmental and safety perspectives, lifting magnets are crucial tools for any demolition and steel processing company. This entry was posted in Industrial Demolition, Scrap Metal Demolition, Scrap Metal Recycling, Steel Processing and tagged industrial demolition contractors, scrap metal deconstruction, steel processing company. Bookmark the permalink.